On September 26th iNetwork hosted an event on Social Value in Commissioning and Procurement at Lancaster Town Hall hosted by Lancaster City Council; the event looked to deliver behavioural change and inspire ways to embed social value into both procurement and commissioning. Melissa Bell was the first to present and began by explaining why YPO have now committed to embedding all 17 Sustainable Development Goals (SDG’s) into everything they do by 2020. The 17 SDG’S set by the United Nations, look at addressing global challenges related to poverty, inequality, climate, environmental degradation, prosperity, peace and justice. Melissa argued that the SDGs are just as applicable to local government, businesses, and voluntary organisations and that their adoption in these sectors can produce positive social outcomes. Delegates heard about research from PWC that showed 90% of people believed it is important that businesses support the SDGs and 78% of people were more likely to buy from companies who supported the SDGs. This, she explained, is because, in the UK, poverty remains a very real challenge with 14 million people in relative poverty, so procurers can request that all suppliers pay the minimum wage. In addition, 794,000 children and young people are not in education, employment or training, so YPO will support the SDGs in peace and justice by delivering training and advice to young people. Melissa talked about the need for procurement professionals to move from making decisions based on the lowest cost to a ‘best value’ approach that could bring social, economic and environmental benefits to communities. This she explained YPO had started by partnering with NET positive industries that have created a simple tool for suppliers to use for supplier engagement. The tool enables suppliers to develop their own NET positive action plan to help them get started or progress their own sustainability or social responsibility activity. To see how important social value is to YPO click here to see their video. Following on from Melissa, Andy Ridehalgh presented on Preston’s participation in the URBACT European Procurement Project along with CLES to address social issues in Preston by challenging the procurement orthodoxy. Andy went on to explain how Preston was chosen to help change struggling neighbourhoods into thriving local places. Further to this, Preston was chosen because of the sheer scale of its institutions, the nature of social challenges and the significant potential for influence. A focus on major ‘anchor’ institutions in Preston was central to the urban regeneration process of 2013. The anchor institutions were defined as large employers such as education providers, hospital, private business, housing providers and the police because they had large influences in the area, significant budgets, as well as employing a lot of people. Andy then went on to describe the main objective for Preston was to create a reduction in spend leakage and this would only be achieved by developing practitioner and supplier awareness and then using a spend analysis to measure and monitor their work. A spend analysis is a great way to measure this success because it gives you a better understanding and relationship with the supply chain, enables understanding of the potential market and links to wider issues facing that place. In 2012/13 in the spend analysis report these anchor institutions had spent £750 million and only 5% of this spend was hitting the Preston city region, 61% was ‘leaking’ out of the Lancashire economy. Delegates then heard about how an action planning network enabled Preston to reduce this leakage, this was a transnational network that connected cities with common problems and helped them learn from one another and work together on integrated solutions. Moreover, at the city level it allowed local stakeholders to work in partnership to co-produce integrated action plans. The procurement project achieved greater flexibility, facilitated access to contracts for SMEs and used procurement environmental and social policy goals. In Preston, unemployment, skills gaps and shortages meant that anchor institutions had to be influenced into changing the culture of procurement officers. Preston developed cooperation across institutions and with the commercial sector, including a statement of intent, a better understanding of ‘influence able’ spend, a better understanding of the market and identified scope for new delivery models. In addition, they looked at showcasing practice and shifting behaviours across Europe looking at the wider impact of spend and evaluated the success of other wealth building initiatives. Andy explained how this had been successful by 2016/17 out of the £616 million that was spent by anchor institutions Preston had reduced its leakage outside of the Lancashire economy down to 20%. Thirdly, Paul Murphy from Manchester City Council talked to delegates about what it means for Manchester City Council to look beyond the price of each individual contract and looking at what the collective benefit to a community is when a public body chooses to award a contract. Paul went on to explain how they have developed their Social Value Policy for the last 10 years. In 2007 the council were spending £600 million on goods and services so they created a centralised procurement function and in 2008 created a sustainable procurement policy. Paul then went on to explain how, in 2013, Manchester City Council reviewed this policy which, in 2014, led on the creation of the GMCA Social Value Policy. The biggest change that Paul mentioned was the development they had in 2015, whereby members and officers worked together to increase the weighting in tenders and in turn sent out the signal that any businesses looking to work with the council were aware that this was now a priority. This resulted in an increase on social value from 10% to 20%. Furthermore, in 2016 Manchester City Council continued to develop their Social Value Policy as the council adopted the Ethical Procurement Policy. This policy set out the behaviours that they expect from their suppliers and in 2017 they launched their Ethical Procurement Policy at the Power of Procurement event and launched the Social Value Toolkit for Suppliers and for commissioners to help support them pre procurement stage. To view the document click here. 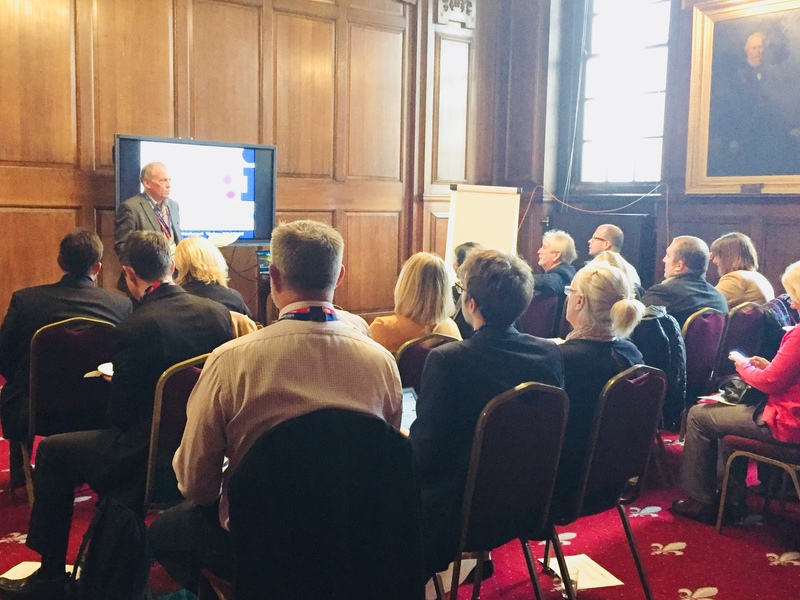 Delegates then heard about the issues Manchester City Council faced in trying to establish a Social Value Policy, Paul talked about issues the council had in developing systems, embedding into new contract management processes and recruitment. Paul gave the example of the Heaton Park Cafe of a successful social value project. Previously, this was unsustainable and costly, the council decided to put it to a successful bidder who could be contracted to run the café whilst embedding social value. Today the café is a huge success that is committed to the community, it has employed young offenders and worked with colleges to recruit and train as employees, whilst giving them the opportunity to build practical skills. Finally Peter Schofield gave an update from the National Advisory Group Meeting on the 24th September. He talked of how Paul Uppal had been appointed as Small Business Commissioner by the Cabinet Office to represent Small Medium Enterprises. Peter mentioned that the NPS 2018 was launched and downloaded 885 times. Finally, Peter updated on all of the work streams and mentioned that there would be training for Cex’s on innovation in procurement.